There will be new faces on the Ontario bench and one person in a new role. Marvin Kurz, a judge of the Ontario Court of Justice, has been named as a judge of the Superior Court of Justice in Milton. Before his initial appointment, Kurz spent over three decades as a civil, family, and human rights lawyer. In addition to appearing before all levels of court in Canada, he also argued before the Canadian and British Columbia human rights tribunals and two royal commissions of inquiry. 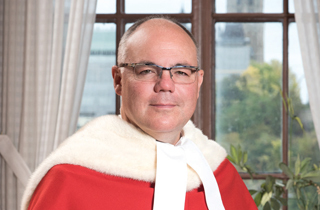 Justice Kurz also sat as a small claims court judge and a dispute resolution officer in the Peel Superior Court of Justice. Kurz worked as legal counsel to the B’nai Brith League for Human Rights as well as its national and Ontario chair. He was also a part-time chair of the board of inquiry under the Police Services Act and a member of the Office of the Children’s Lawyer’s child representation panel. He replaces Justice Douglas K. Gray, who elected to become a supernumerary judge effective Jan. 1, 2017. The two new judges are David Berg and Trevor Allen Brown. Berg most recently worked as both a public defender and a private practitioner in Nunavut. He has volunteered with the Law Society of Nunavut and the Law in Action Within Schools (LAWS) program. He will preside in Ottawa. Brown was a criminal defence lawyer with Greenspon, Brown and Associates. He is the former president of the Defence Counsel Association of Ottawa. He has also been a volunteer executive member of Ottawa Collaborative Justice Program. He will preside in Ottawa.